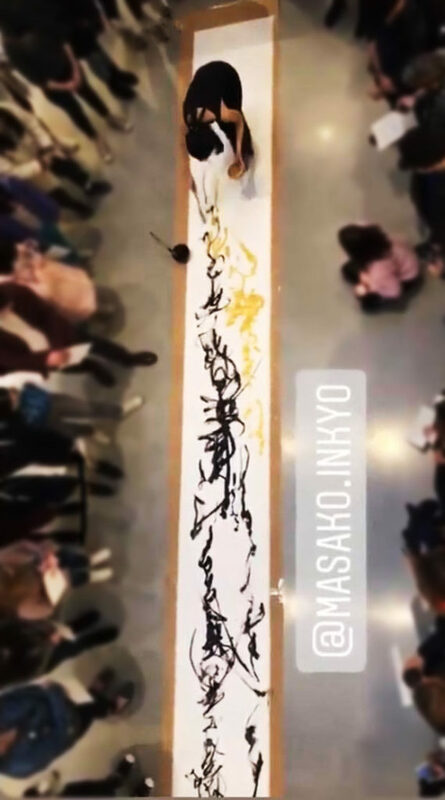 I performed calligraphy based on Heike Monogatari (The Tale of Heike), an epic account of the struggle between the Taira and Minamoto clans for control of Japan at the end of the 12th century in the Genpei War (1180-1185). 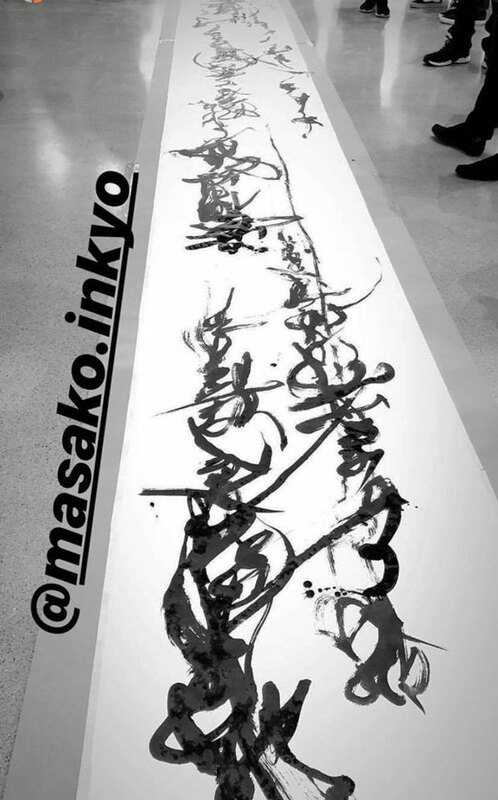 The central theme of the story is the Buddhist law of impermanence (Mujo). 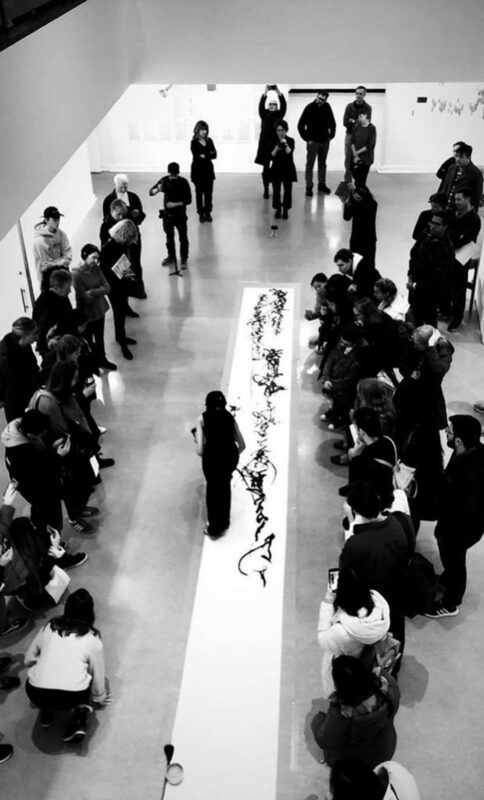 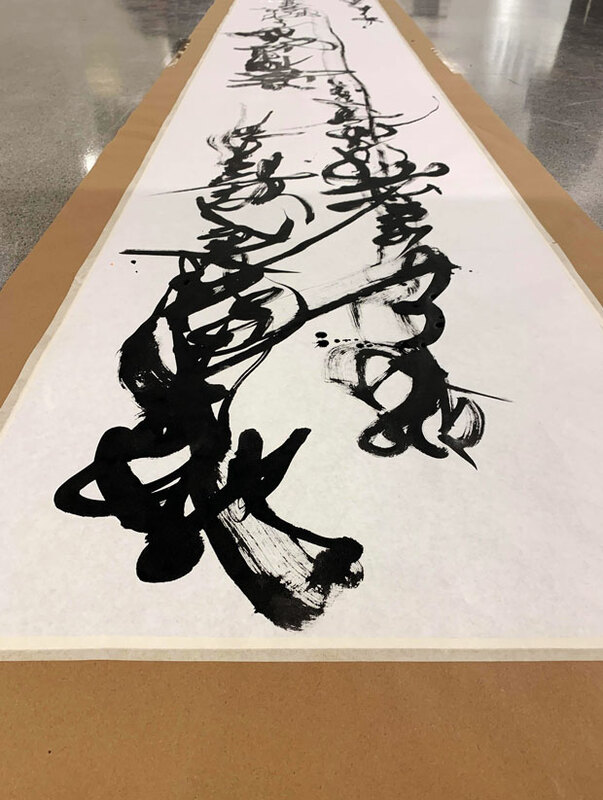 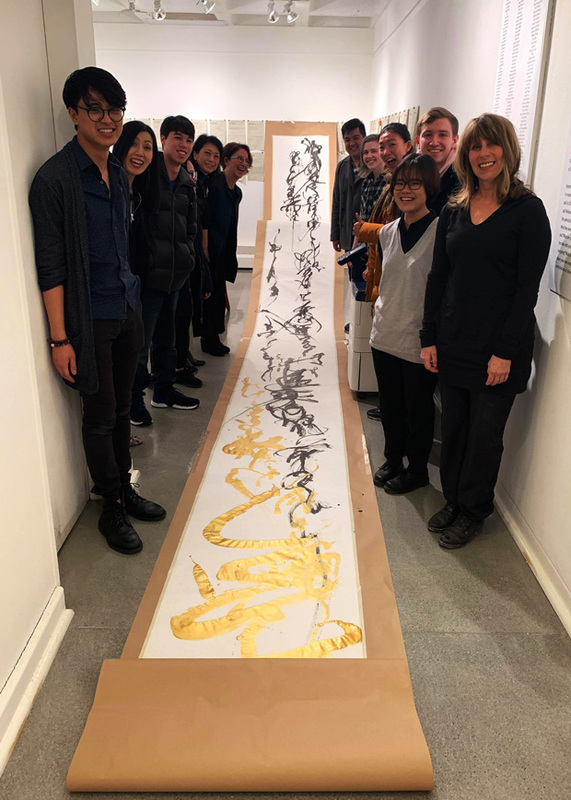 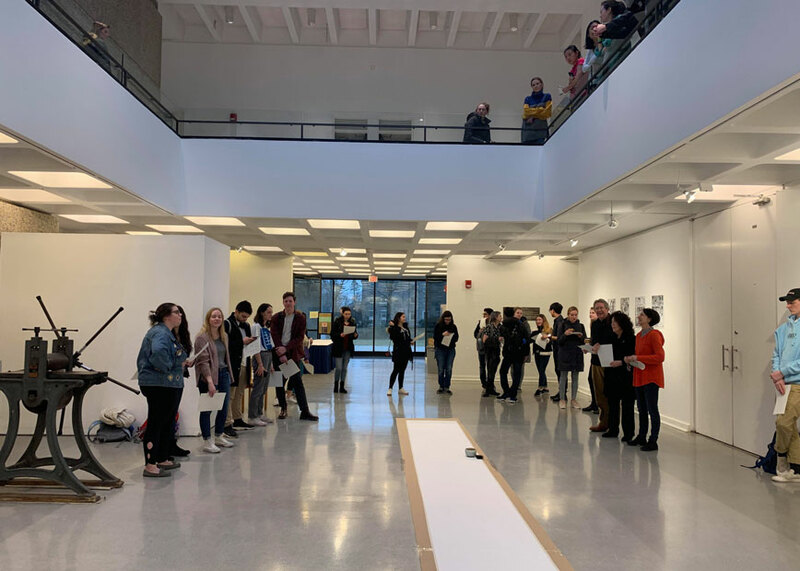 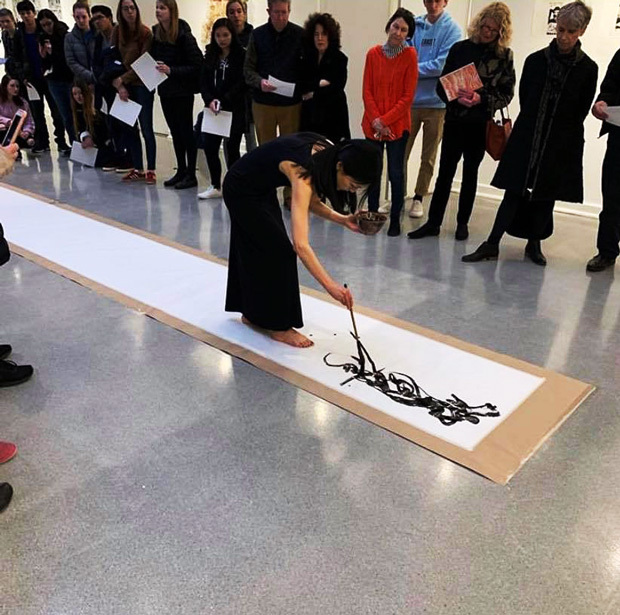 The calligraphy was performed on the floor on a 10 foot long sheet of Washi paper. 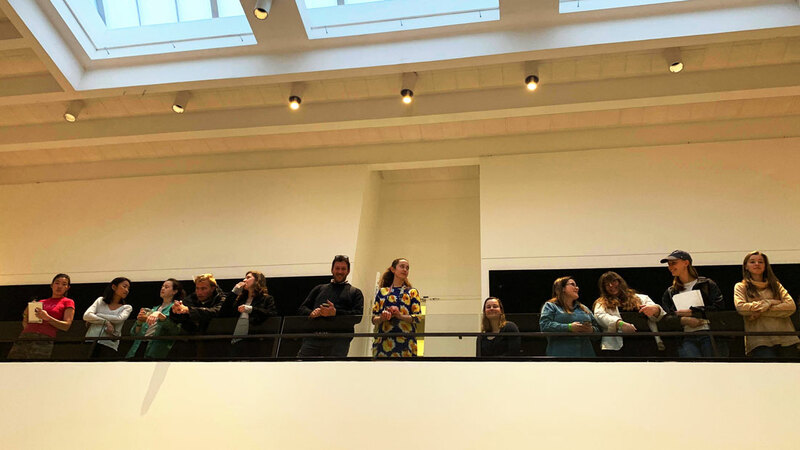 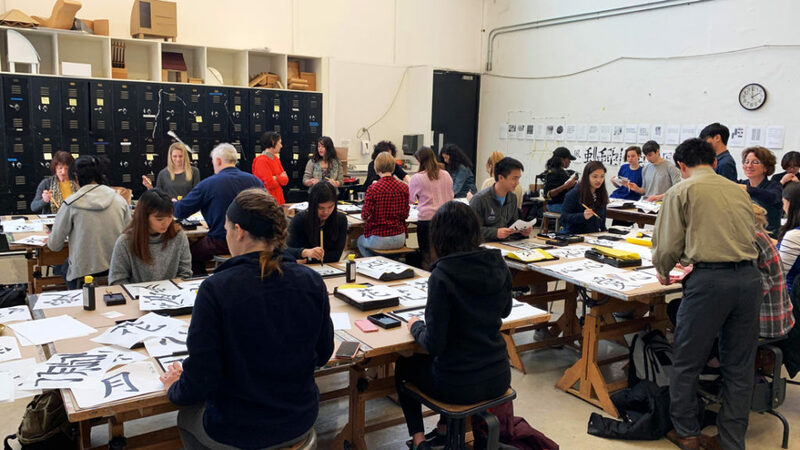 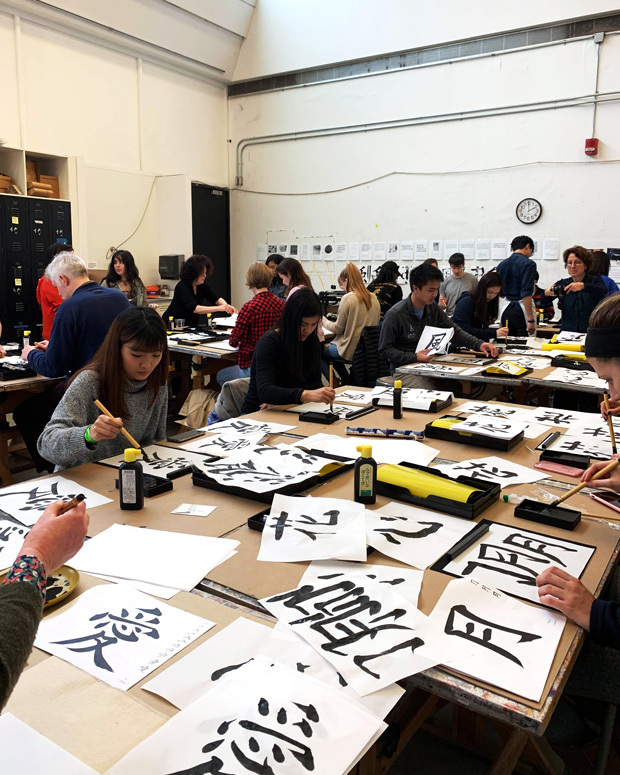 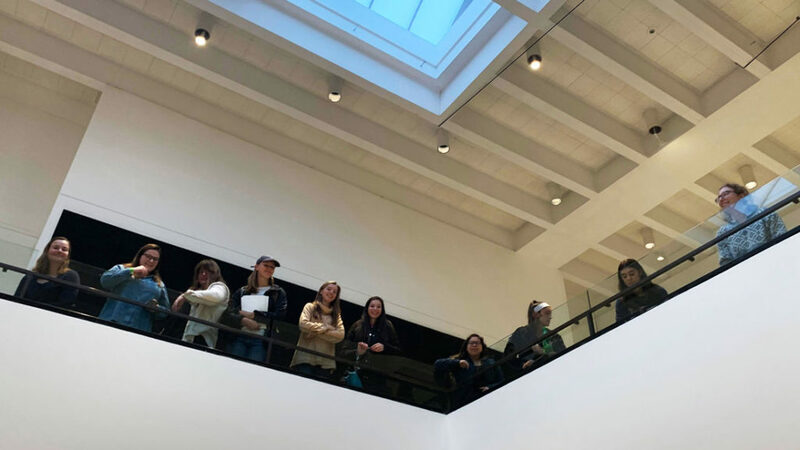 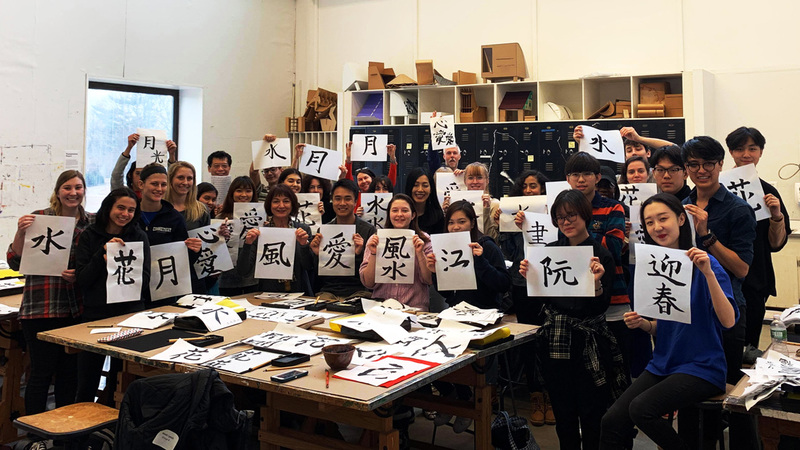 The workshops introduce the four basic styles Japanese calligraphy (Shodo): Kaisho (standard), Gyousho (running script), Sousho (cursive script) and Gendaisho (modern style). 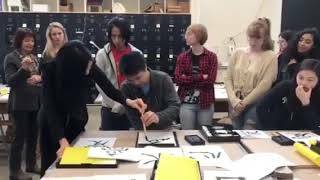 Students try their hand at writing several characters in the Kaisho style.